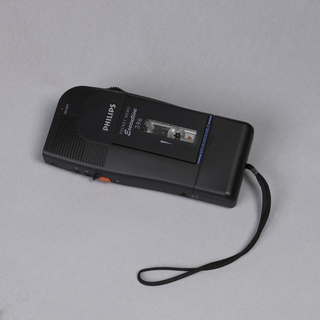 See more objects with the tag communication, electronic, recording, microphone, disk, cord, sound. See more objects with the color grey darkslategrey or see all the colors for this object. 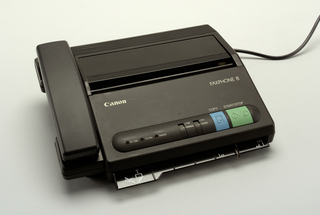 This is a Dictaphone. It was designed by Carl Otto. It is dated 1953 and we acquired it in 1996. Its medium is cast metal, plastic discs, electronic components. It is a part of the Product Design and Decorative Arts department. Until the middle years of the twentieth century, most dictating machines were cumbersome pieces of furniture with a fixed location in the office. 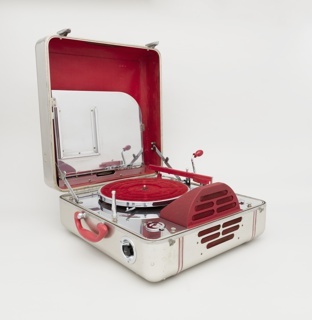 Technical innovations permitted the design of smaller and lighter portable units. 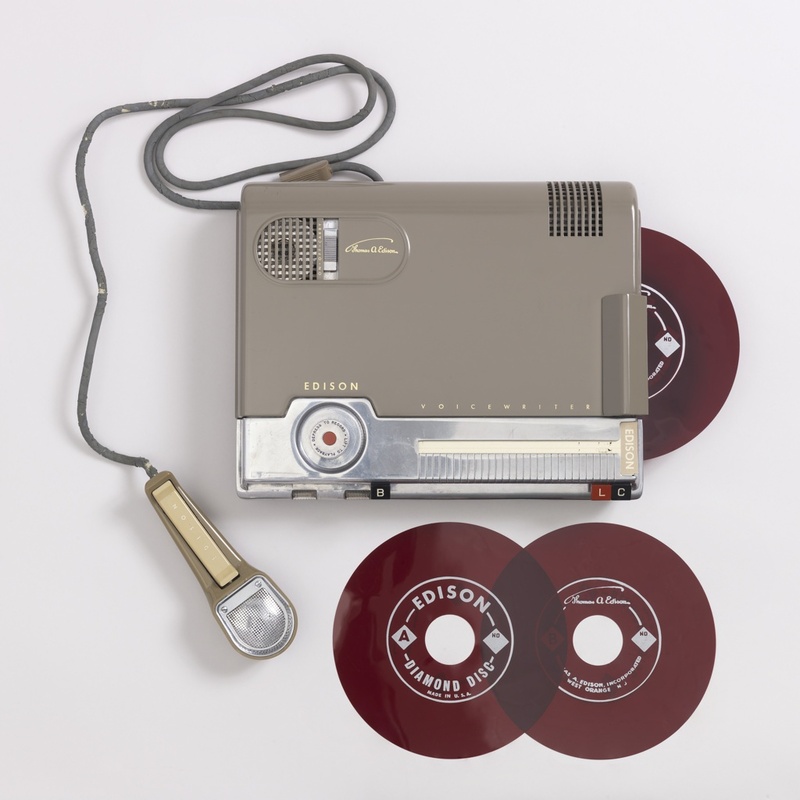 The Edison Voicewriter made use of plastic disks onto which sound was recorded. Such systems were replaced entirely by tape-based recording technology by the 1960s. This object was donated by Unknown donor: found in Collection. It is credited Gift of Unknown Donor.